North Fork American River Rafting with Mother Lode! 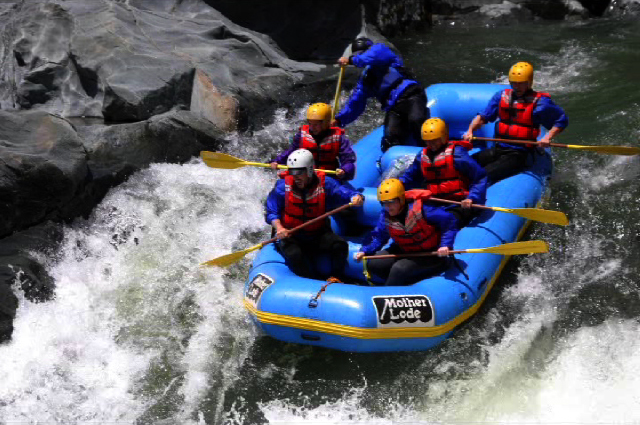 No rest for the weary when you’re whitewater rafting on the North Fork of the American River. From the get-go you’ll be challenged by the North Fork’s whitewater rapids then rewarded with the beautiful, majestic wilderness. Between rapids you’ll get a few moments to observe steep canyon walls formed millions of years ago by rushing rivers. Beautiful streams rolling out of small side canyons become one with the North Fork. 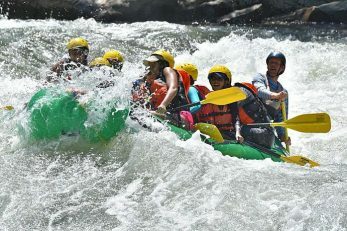 Free flowing and fed only by early spring snow melt, the clear whitewater of the North Fork American River zigzags down a narrow sluice box of a canyon through spectacular alpine scenery. 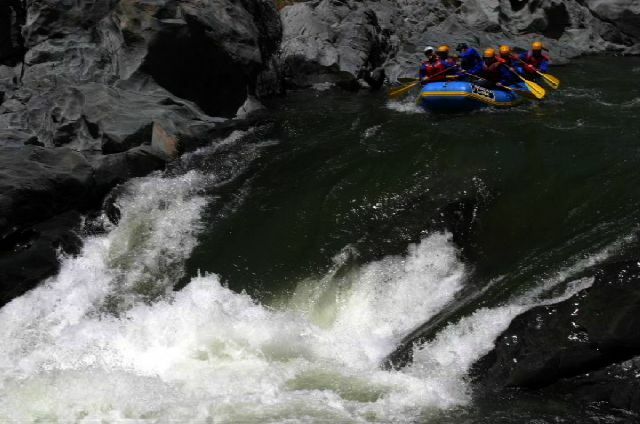 Your exciting and adrenaline pumping rafting action begins as house-sized boulders squeeze the river to a mere twenty feet to form Class IV+ ‘Chamberlain Falls‘. Then the river accelerates into relentless and continuous Class IV rapids. Upon completion of that section, you get to stop for lunch. While your guides prepare your food, explore Shirttail or Indian Creeks, two of the many wonders of the North Fork American River Canyon. After lunch, continue for three more miles of milder yet still exhilarating Class II and III rapids. 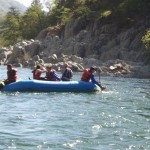 The North Fork American River is the most challenging of the three forks of the American. Due to the intensity of the river coupled with the cold springtime water, we recommend this trip for experienced rafters only. Minimum age subject to change. All participants must be in good physical condition and have the ability to swim. Available Dates vary based on weather and snowmelt. 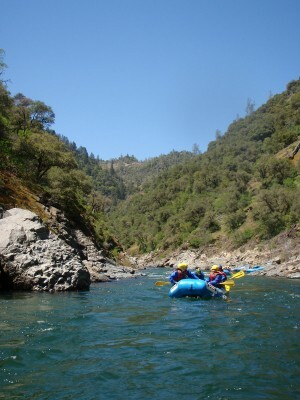 Please call (530) 626-4187 to book a trip on the North Fork. 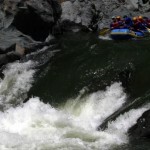 The Tuolumne can be characterized as a steep and technical section of whitewater. From the moment you get onto the water the action begins; rapids like Rock Garden and Nemesis are waiting just downstream from the put in. The middle section of this stretch does mellow out some before the final push through some of the biggest rapids on the trip. 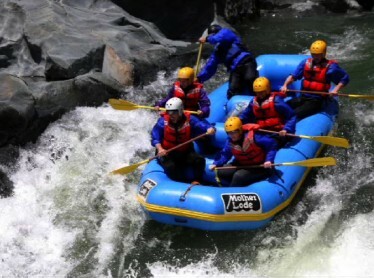 Although the rapids might be the most memorable part of this trip, the scenery is spectacular with deep canyons, massive boulders and amazing swimming holes. This trip can be booked as a single day or multi-day adventure. Dates vary based on time of year and water levels. Please call (530) 626-4187 to book. Too late in the season for the North Fork American River? You’re in luck! 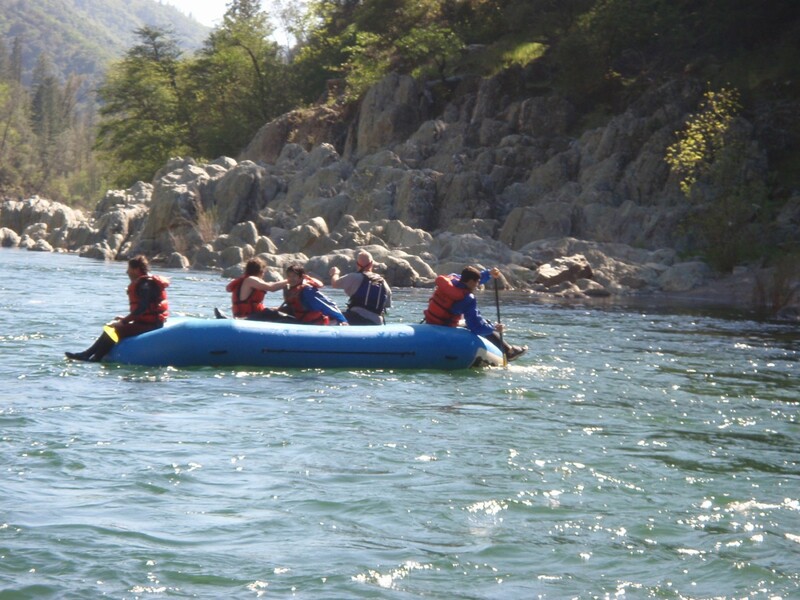 The Class IV Middle Fork American River runs from Memorial Day weekend through Labor Day weekend. Minimum Age: 14 years old; Subject to change based on river conditions. 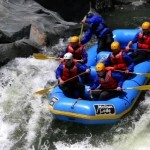 Rafting Requirements: Must be in good physical condition and have the ability to swim. We recommend booking a One Day North Fork Trip with Overnight Camping.